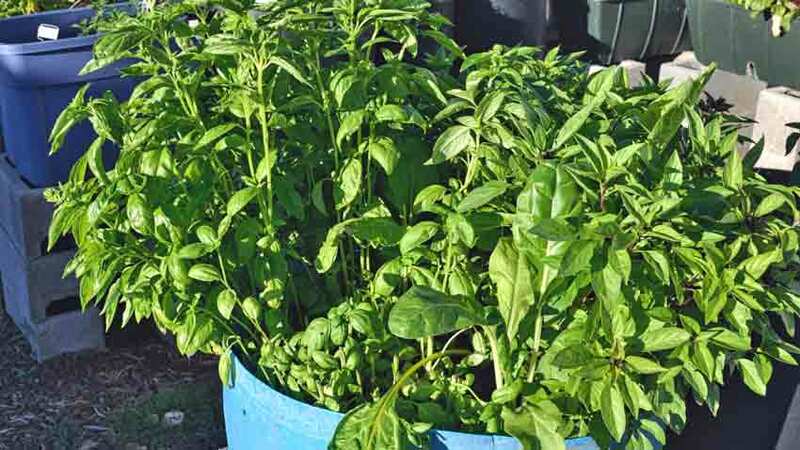 Basil is most often thought of as an herb for Italian pasta sauce and pesto, but it has so much more to offer. 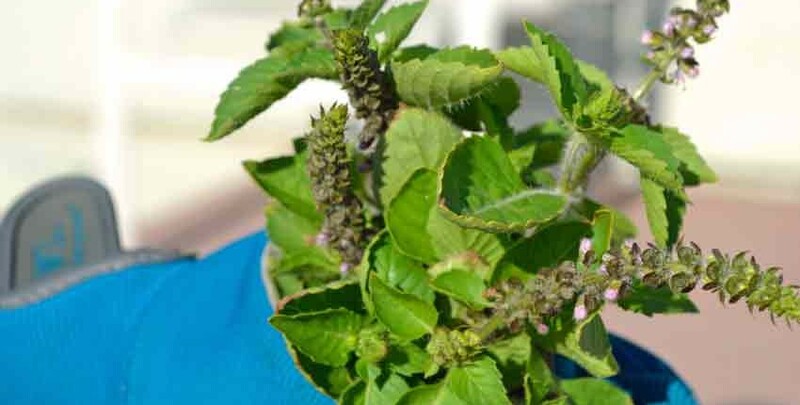 From holy uses and sacred traditions to medicinal, herbal and culinary uses, along with healing tea from its leaves and repelling biting insects, basil has a lot going for it. Add in that it’s extremely easy to grow, and there’s no wonder basil is at the top of the list for must-have herbs for the home gardener and kitchen chef. Basil is a member of the mint family, which helps to explain its exuberant and sometimes aggressive growth habit. Combine this with its prolific seed production and ability to easily re-seed itself and you should never be short of basil in your garden. By some estimates, there are over 150 different species, or cultivars of basil worldwide. 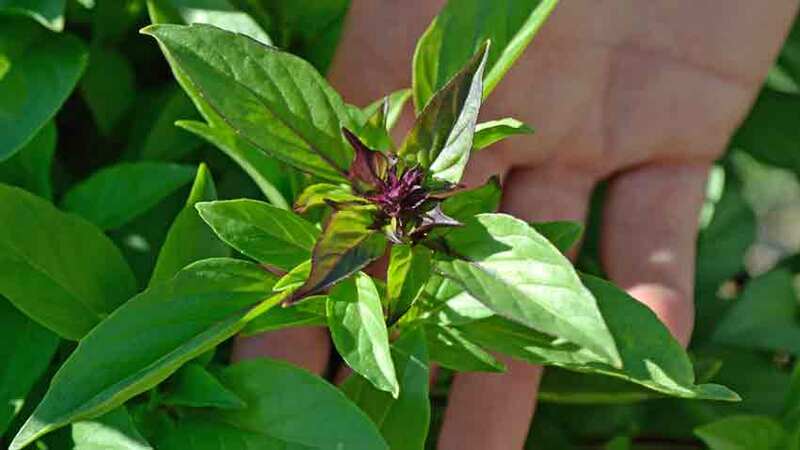 The basil plant is characterized by square, branching stems with leaves growing opposite each other from the stem and brown or black seeds in groups of four in pods or nutlets at the top of the plant where the flower spike first blooms. 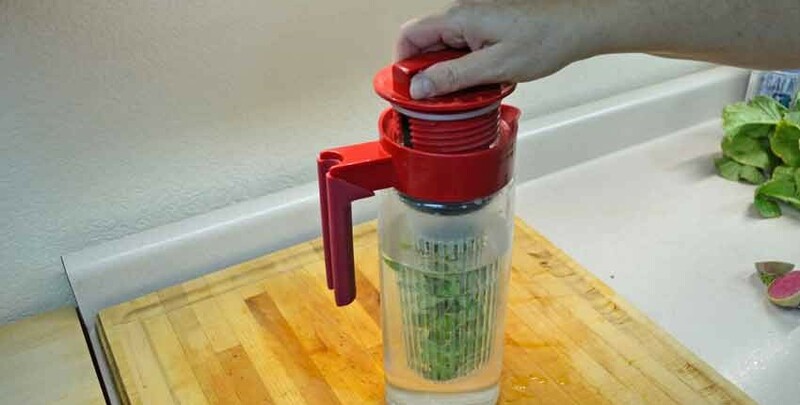 Basil is one of the older herbs cultivated and valued for its aromatic, medicinal and culinary properties. It is commonly thought to have been brought to ancient Greece from Asia by Alexander the Great. From there it spread through seed trade and consumption to India, then on to England by the 1500s, arriving in America by the early 1600s. 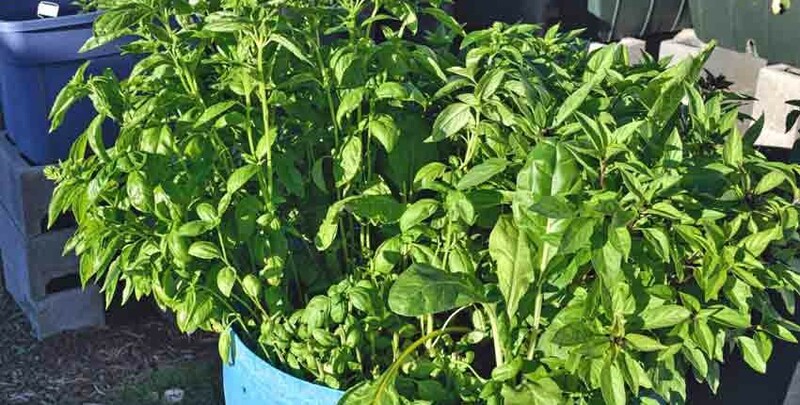 Many American gardeners know the herb for its culinary uses and are most familiar with the Italian varieties Sweet and Genovese basil, but there is much more to basil than only these two famous cultivars. 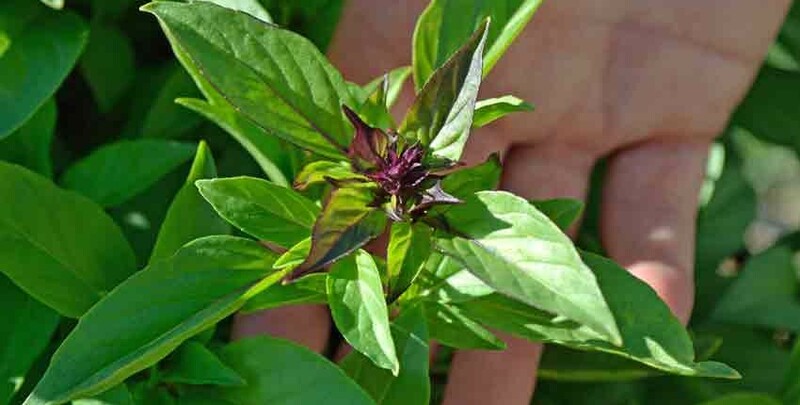 For instance, Thai basil has a similar leaf shape as sweet basil, but packs a more aromatic punch along with a very pleasant and unique anise-like flavor. They are initially a bit sweeter than their Italian cousins before the anise flavor appears, and they hold up to cooking a bit better due to their stronger flavors. 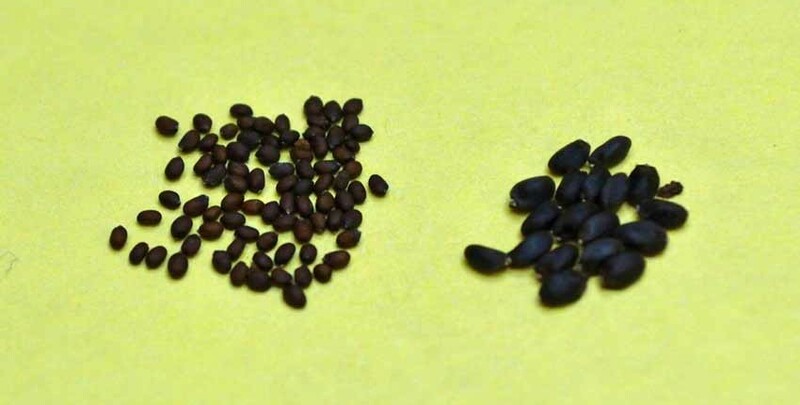 Thai Basil Seeds This Way! 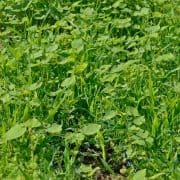 Holy basil or Tulsi originated in India, where it is considered to be one of the most sacred plants in the Hindu religion. 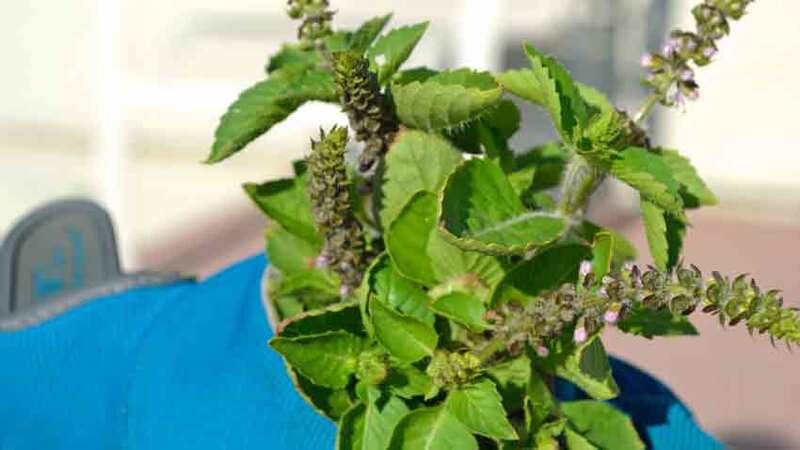 In Hindu mythology the plant is an incarnation of the goddess Tulsi. It is used as a medicinal plant for its essential oils and as an herbal tea. 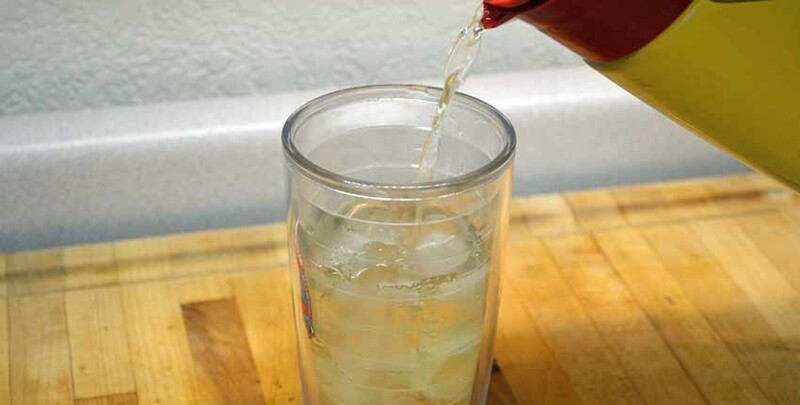 It is considered to be an elixir of life, considered to be beneficial for the mind, body and spirit. 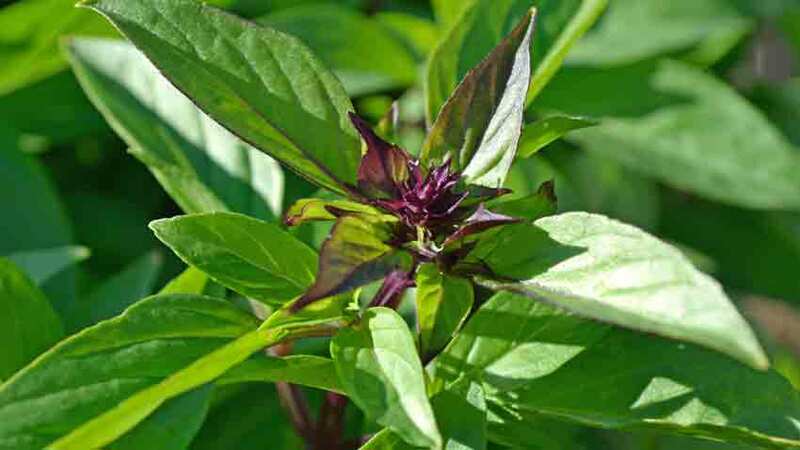 There are two main types grown in India, a green leafed and a purple leafed cultivar. Holy Basil Seeds This Way! Some basil varieties have a strong citrus aroma and flavor, such as the lemon and lime cultivars. Although they both have a citrus scent, they are completely different species. 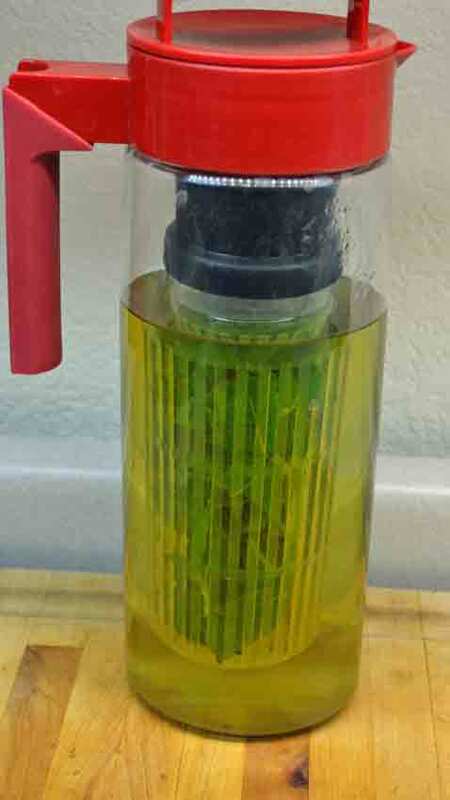 The lemon basil has a high essential oil content, boosting its aromatic properties while the lime cultivar is a bit more subdued in both scent and flavor. Lemon Basil Seeds This Way! Besides using the leaves in cuisine and as a tea, basil has other traits which make it very valuable for the home gardener. Due to the aromatic nature, most basils are very effective at warding off biting and annoying insects. 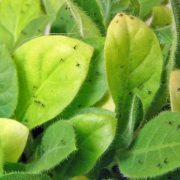 Having a planter on the back deck or porch, as well as a bush at the garden entrance allows the passive deterrence as well as being able to pull off a leaf, crush it and rub it on clothes to keep the biters at bay. When the flowers are in bloom, simply pulling the flowers through your hands and inhaling the heavenly aroma works wonders for relaxation and clearing the mind for a few minutes. Too often, home gardeners think when a basil plant “bolts” or starts setting flowers that it is done for the season. This is not true at all! The flower stalks can simply be pruned at the base of the first flower, re-setting the leaf production mechanism for another round if the weather is still warm enough and the days long enough. Some cultivars, such as the Genovese variety, can be encouraged back into leaf production and give six or even eight harvests of leaves, making for lots of fresh pesto in the freezer to remind us of just exactly what high summer smelled and tasted like during the coldest depths of winter. The freshly trimmed flower stalks are excellent when shredded and tossed into salads or among greens on a sandwich, giving a delightful aroma and light, bright flavor. 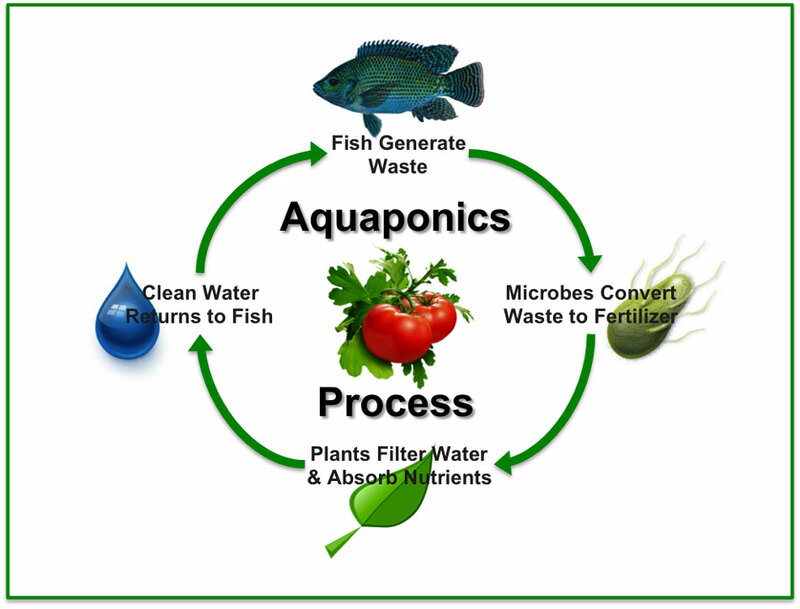 We have also used them in our breakfast eggs and green smoothies for the same effects. Just be aware that a little goes a long way and start with just a couple of flowers so as not to overpower the rest of the dish. 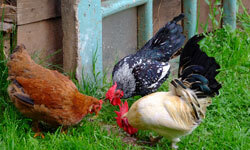 Once enough leaves have been harvested, let the flowers do their work and harvest the seeds as they have several different contributions to make besides just growing new plants next season. 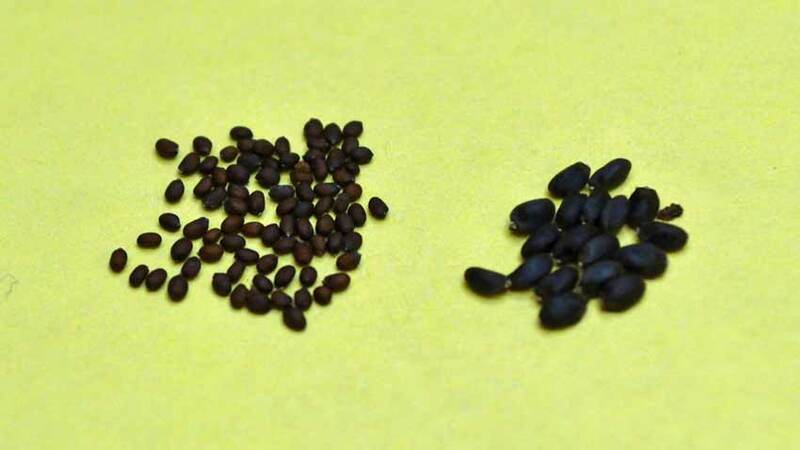 Basil seeds don’t readily “shatter” or scatter like sunflowers or other flowers, so it is simple enough to just let the flowers dry down and the seeds mature. To harvest, just snip the stalk at the base of the flower, exactly like pruning the early flowers. It is best to do this just before the flower stalks are completely dry as the seeds can scatter when the stalks are disturbed. 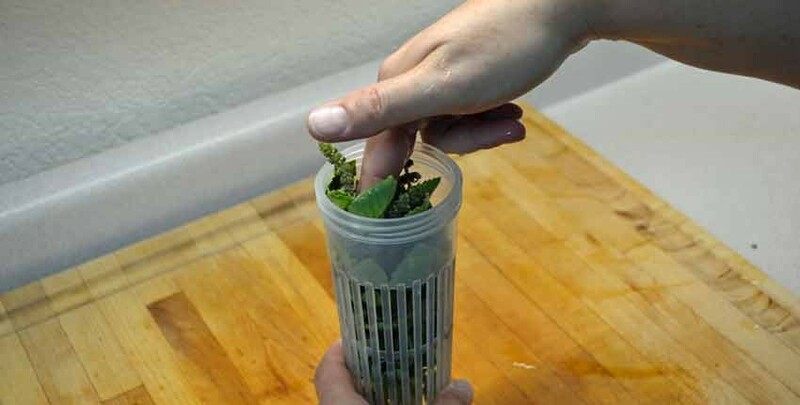 Collect the stalks in a tall paper bag and allow them to completely dry for a month or more. 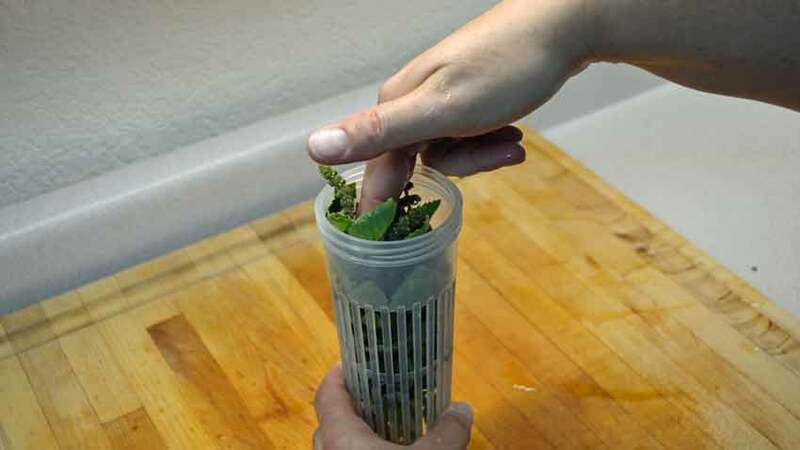 Then shake the paper bag side to side and tap the stalks against the inside of the bag to finish freeing the seeds. 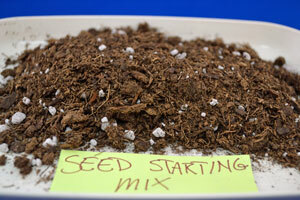 The resulting seed is delicately perfumed seed when crushed or ground. Its scent is unlike the parent plant, much more floral and light, but still strong enough to brighten up a room. 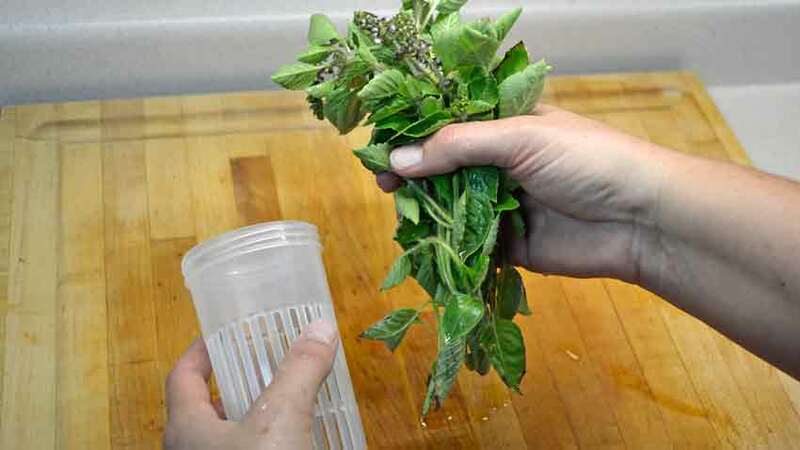 Use a mortar and pestle or herb grinder to release its magic and use them in muffins, cakes, eggs, pancakes or any dish where a bright floral scent would be an unexpected welcome, especially in the colder seasons. 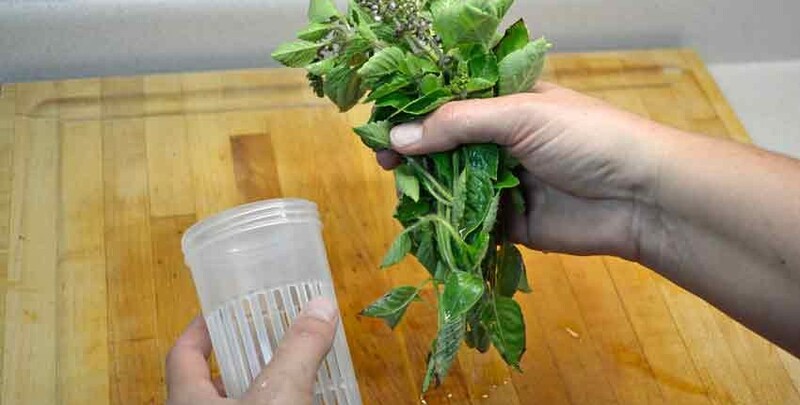 Making Tulsi or Holy Basil tea is very easy. 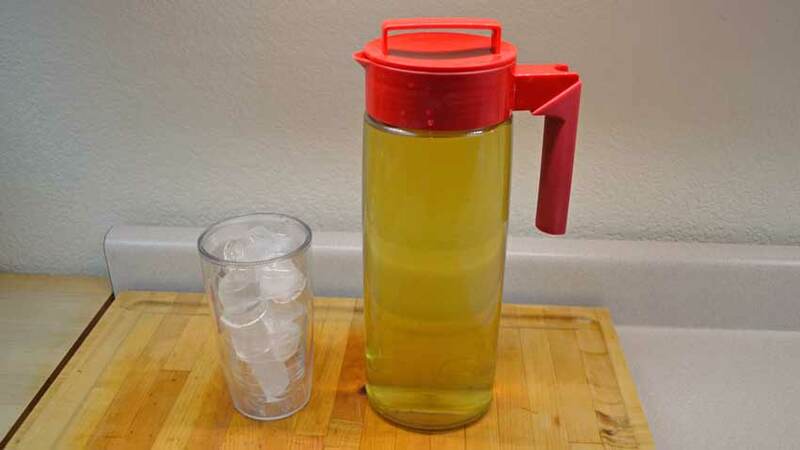 We use a tea brewing pitcher that separates the tea leaves from the brewed tea, but you can use a large tea ball, or simply put the leaves into the water, let steep and strain. 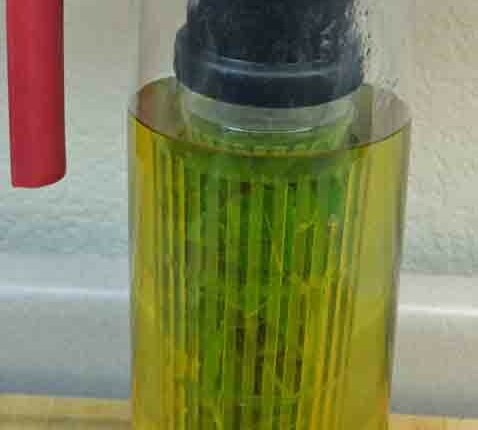 Boiling hot water isn’t needed, but warm water will brew faster and extract more of the essential oils than cold. We like our Tulsi tea a bit stronger, so we gently pack the leaves in, but not too tight or they won’t brew well. 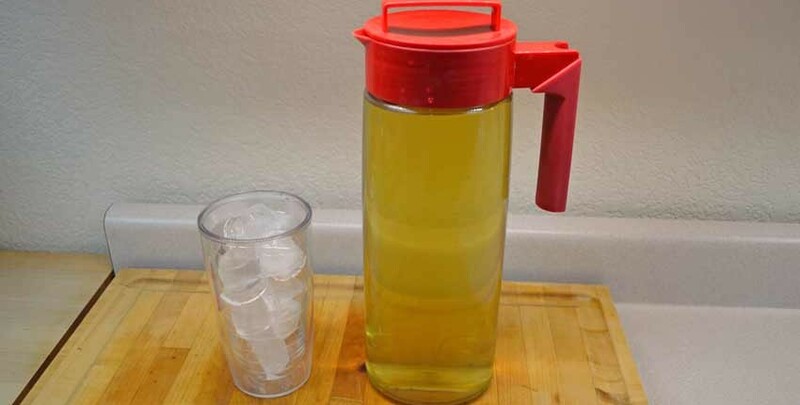 After putting the leaves into the pitcher, adding hot water and closing the top, let the tea brew. 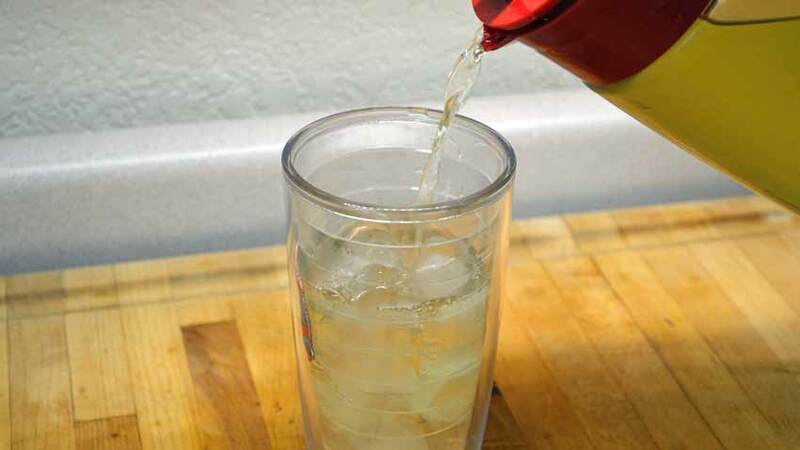 The tea is ready to drink when you think it is – meaning, let your taste be the guide. Some like it much milder than others, so enjoy it your way! 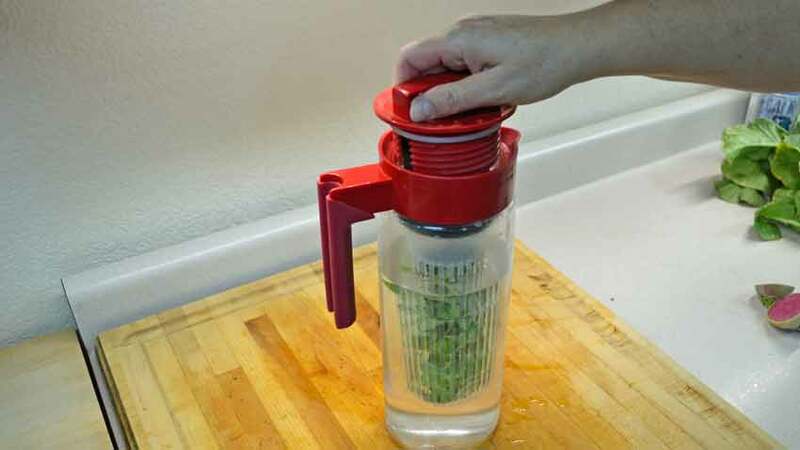 After removing the strainer, the pitcher is the serving and storage container. Time for some Tulsi tea and a few minutes to sit and relax! I love basil; have grown many different varieties in pots on my deck. I didn’t know the plants could be rejuvenated by trimming the blossoms or that the seeds had different uses. Thank you for this information! I appreciate your weekly emails and usually learn something new. I also like the availability of heirloom seeds since those are my preferred plants to raise in my garden. 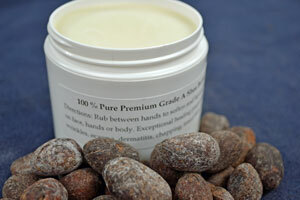 Also your avocado and shea butter facial cream is the best!